For me, the appeal of a watch’s dial is perhaps its biggest selling point. Too bland and I’m not interested, too busy and it’s not for me. There’s a fine line between pleasure and pain. 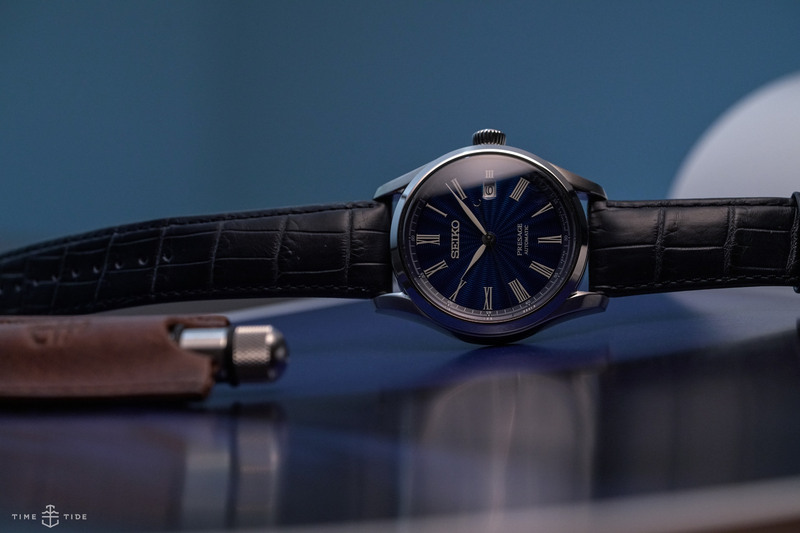 Luckily for me, though, it’s always a pleasure when I get a chance to spend some time with the Seiko Presage collection, which combines the Japanese brand’s love of traditional craftsmanship and their mechanical know-how with an affordable price tag. Once available only in Japan, the collection was finally made available to the rest of the world in 2016. And let me tell you, this year’s addition had me at its dial. 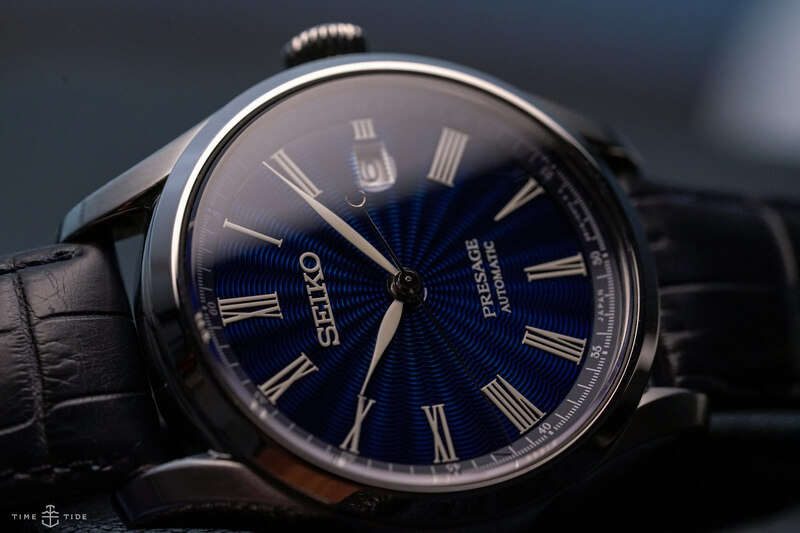 Crafted using Shippo enamel – a method developed in 17th century Japan – each engraved dial measures no more than 1mm thick and is made by craftsmen at the Japanese specialist manufacturer Ando Cloisonné, which was founded in the 19th century. First hand-painted with a lead-free glaze, and then fired at 800 degrees Celsius. The entire process must be repeated several times to ensure an evenness of the enamel, before finally being polished to reveal the delicate radiating pattern below. The finished product is a sight to behold, and one that, frankly, shows that beautifully handcrafted enamel dials needn’t always cost a fortune. 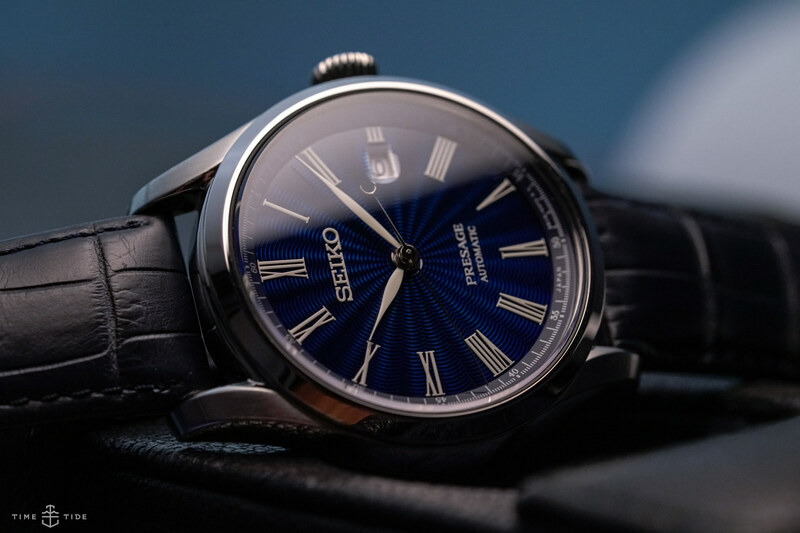 As you’d expect from Seiko’s dressy Presage collection, the 40mm case is highly polished and won’t fight the cuff – measuring only 12.4mm thick – hugging the wrist on a nicely crafted crocodile strap. A water resistance of 100 metres adds some everyday appeal. 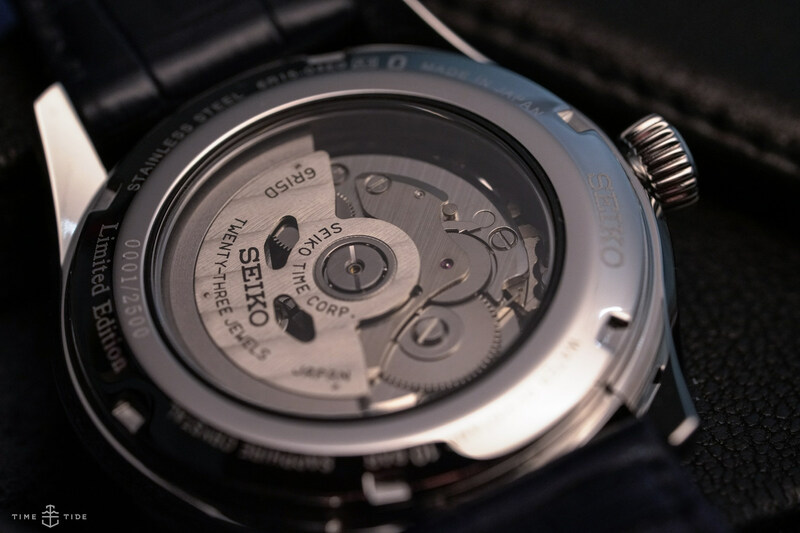 As does the Seiko 6R15 automatic movement that powers it to life, with a power reserve of 50 hours. All things said and done, the Presage collection has a lot to offer. And these Shippo enamel dials are works of art. Talk about a hard act to follow.